If you’re obsessed with the Harry Potter series as much as many of us then you’re home must be decked out with tons of Hogwarts memorabilia and decorations. If not then you need to start your collection now! If your favorite house in Hogwarts is Slytherin then this banner is a must have. It is the definition of ‘awesome’ and not to mention, totally affordable. You could have one of these beautifully detailed banners hanging in your room right above your bed. Now, you could also go all out. 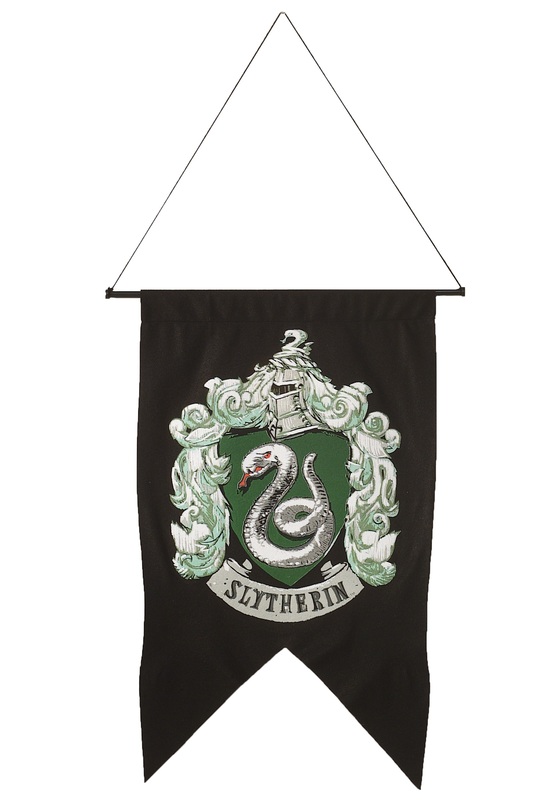 By that we mean, get your hands on a ton of these Slytherin Banners and line your hallways with them, have one in each room of your home, and you'll need at least, like, six hanging in the dining area. Trust us, all these banners will not only show off your love for the Slytherin house but they will really class up the place! If you really just want to represent Hogwarts as a whole then feel free to take a look at the other house banners. You can hang all four all around your home!